States such as Haryana And Karnataka are taking the idea forward by coming out with clear policies. While Asking the states to accord speedy clearances and cut down on delays, the government has, as a measure to boost the housing industry, also relaxed the norms for foreign direct investment in real estate. Prevailing high prices of real estate have been an important factor in keeping home-buyers at bay even though increasing urbanisation has lifted the demand for housing within cities. While unsold inventories have been on a rise and absorption rates continue to remain low, the only way that the government can tread ahead on its mission of “Housing For All by 2022” is by pushing for affordable housing within the city limits across the country through public private partnerships (PPPs). It can also seek the support of states and authorities in coming out with their affordable housing policy that earmarks land for their development. The government has been talking of various steps to give a fillip to the sector and the urban development minister M Venkaiah Naidu recently said that the government is trying to get priority sector lending status for housing so as to promote affordable housing. While asking the states to accord speedy clearances and cut down on delays, the Centre has, as a measure to boost the housing industry, also relaxed norms for foreign direct investment in real estate. While several states have an affordable housing policy, experts feel that in many cases the policy is not very clear and is simply sketchy as the houses are made far from the city. “Affordable housing means providing house at affordable rates within the city limits. The challenge is to get land within the city. Hyderabad has been able to do so by raising the FSI (floor space index) limit within the city which resulted in keeping the prices in control in Hyderabad and other states need to follow the model,” said Om Ahuja, CEO, residential services at Jones Lang Lasalle. While Karnataka is still contemplating bringing a legislation in order to make its Affordable Housing Policy, 2013 effective, Haryana has moved forward in this direction. The state that notified its affordable housing policy in August 2013, has already issued licenses for proposals of 46 projects in the segment to be developed across the state covering around 280 acres of land. In its affordable housing policy notified last year the state has earmarked over 2,600 acres of land divided over various districts breaking it into three categories — 300 acres, 150 acres and 75 acres depending upon the size of the city. Four districts — Gurgaon, Faridabad, Panchkula and Pinjore-Kalka — have been earmarked a maximum of 300 acres each for the same. The policy also set the guidelines on the size of the housing units (28-60 square metres) and the price that can be charged by developers for the same varies between Rs 3,000 and Rs 4,000 per sq ft (on the carpet area) based on the category of the district. Experts within the industry say that based on the population density of the area, FAR (floor area ratio) of 225 and maximum ground coverage of 50 per cent almost 180 dwellings can be built on a 1 acre of land. The industry estimates that over 4.5 lakh housing units can come up on the total land of over 2,600 acres earmarked for the affordable housing segment under this policy in Haryana. While the state has already issued licenses for 46 projects across the state, 34 of them are in Gurgaon Circle of which 23 are in Gurgaon, 9 in Sohna and 2 in Rewari. According to the information available on the website of Department of Town and country Planning — Haryana, of the 46 projects that have got their licenses cleared, eight projects had received the final approval, till November 4, 2014. “While the process began last year, the last two months have seen the projects getting the final approval for the building plans. We are also expecting the approval for our project in Sohna anytime now and once we get it we will start the work for the development of 1,600 planned on the site,” said Manoj Goyal, director, Raheja Developers. Experts feel that the first thing that the state government and authorities need to contemplate is to come out with a clear policy on affordable housing where such units are made available within the city limits and not outside. Other than this, priority sector lending for affordable housing should be allowed and the quality of houses should be regulated. “A regulator is the need of the hour. Affordable houses do not mean low-quality houses and most of the times developers compromise on the construction quality of such houses and if there is a regulator, he can enforce the same,” said Ahuja. Financing is another major issue, while the cost of financing is one issue for buyers in the affordable housing segment, there are issues with access to loan for such individuals. Analysts say that the Reserve Bank of India will have to look into the issue to see that the banks and housing finance companies provide loans to individuals belonging to the weaker segments of the society. There are some who feel that the government should increase the land supply and the cost of construction also needs to be brought down for the same. “Unlocking land supply is the primary and most vital aspect, because land is the largest expense in real estate. 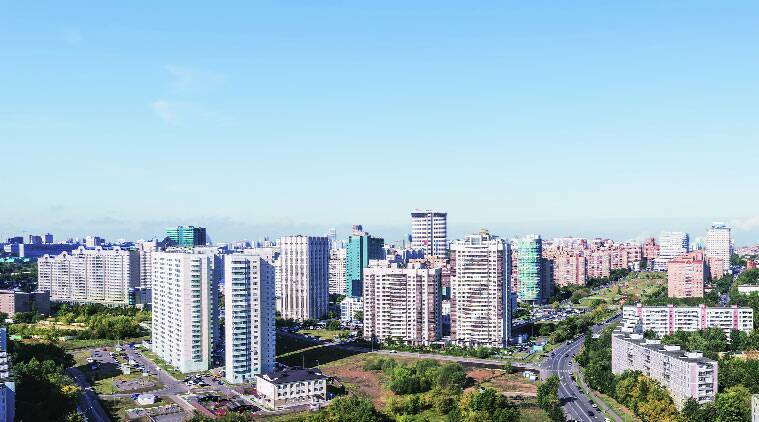 Making existing land in strategic urban locations available for development of affordable housing is not as complicated as it may seem,” said Sachin Agarwal, CMD of Maple Shelters, a Pune-based developer. He also added that the cost of development could be brought down by over 30 per cent and the completion time can shortened by over 40 per cent if developers use latest construction methods and standardised project designs.